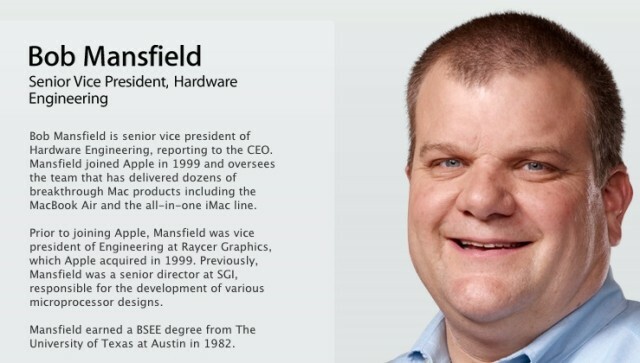 Mansfield has played a crucial role in the engineering success of the Mac, iPhone and iPad and has been widely seen in the promotional videos of Apple hardware. He will be replaced by Dan Riccio, the current vice president of iPad Hardware Engineering. Below, at the 3:40 mark, we see Mansfield talk about the LED backlighting of the 2009 unibody MacBook Pro.